One notch up the Glenfarclas range from the (incredibly delicious) 10 year old. Like the younger bottling, this is a great introduction to the Glenfarclas house style of Christmas cake and sherry. Bottled at 43% ABV, the extra kick in proof ensures that the flavours of cinnamon, toffee, dried fruit, apple pie, nutmeg, honey and cakey sweetness are unimpeded, as is the creamy mouthfeel. 12 years of maturation has brought a strong, but not overwhelming, oaky flavour. A must-try for any serious whisky drinker, this is doubtless one of Scotland’s greatest producers. 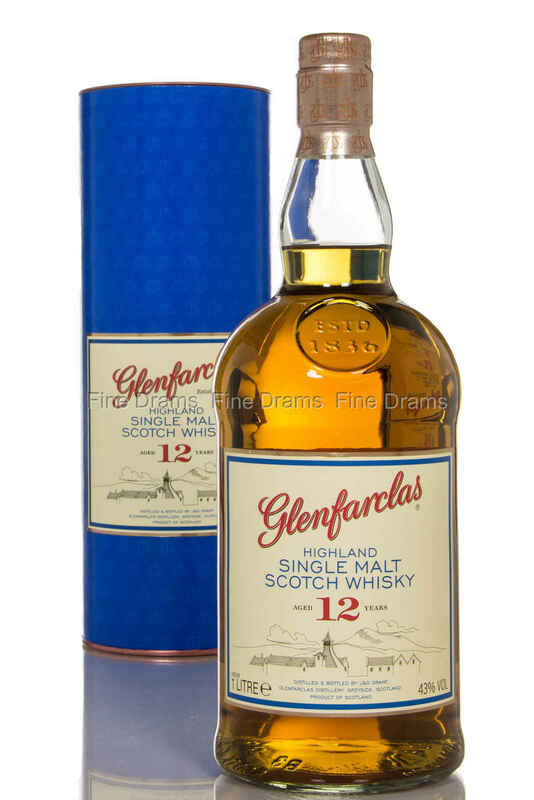 Glenfarclas 12 year old is great value in this bigger 1 litre bottling.